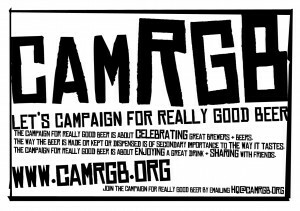 ← WIN SOME FABULOUS BEER! So this is what The Donald was trying to tell us. Ian BrewChap is brewing Milk Stout with coffee and it is going to be good. The Donald is a “craft” fan. Right then, back in the real world Ian is a super home brewer and this, his beautifully named Coffee Milk Stout, is an absolute joy. As a matter of fact this is better than most ‘professional’ brewers’ Milk Stouts that I’ve tasted recently, pouring a deep purple brown and smelling of fresh coffee and plum jam. There’s a rich round chocolate and honey, prune and damson body from the malts and a good hit of pithy green herbal hedgerow shrubbery from the malts, while the rich black coffee builds as you drink, adding a warm woodiness to the finish of this silky smooth creamy beer. As for the Decaffeinated version, it begins the same but then slowly becomes softer and creamier, a thicker beer with the coffee taking a back seat, its woodiness humming away and allowing the malts to get all rich and round and chocolatey, vanilla pods and just a hint of custard coming to the front in the delightfully chewy finish. 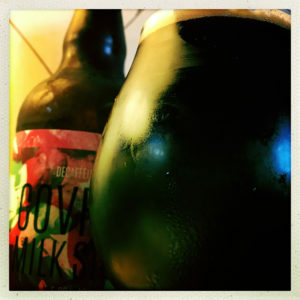 This entry was posted in Beer Review, CAMRGB and tagged Beer, Beer Review, Bottle Conditioned, bottled beer, CAMRGB, Coffee, Drinking, Home Brewing, Homebrewing, Milk Stout, Stout. Bookmark the permalink.